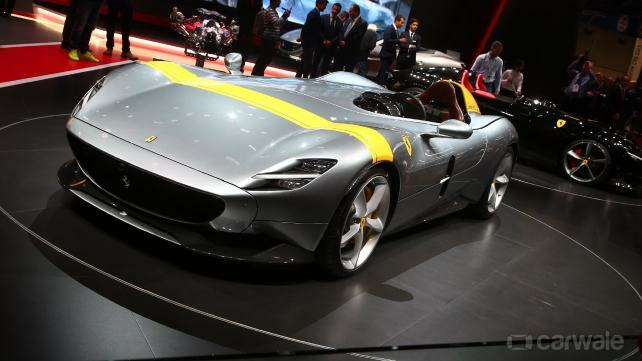 The first of Ferrari’s Icona series, the SP1 and SP2 open-top cars, known as barchettas, have made their debut at the Paris Motor Show. Based on the vintage Ferraro 166MM and the 750 Monza, less than 500 examples of the Icona SP series will be built and offered to select Ferrari connoisseurs. As a part of the new series of Ferraris which look to reimagine their classics, the SP1 and SP2, which can be ordered in single-seat or two-seater forms, gets the most powerful engine setup yet on a Ferrari with over 800bhp being pumped out of the 6.5-litre V12, one of the biggest engines in the Ferrari line-up. It shares its underpinnings with the 812Superfast and sprints to 100kmph in 2.9 seconds. Since the SPs do not have a roof, the top-speed has been restricted to 300kmph with the little windscreen working the magic. At about 3 million dollars, the SPs will begin their lives as future classics wrapped in as much carbon-fibre as possible.